Twelve MidKent College Joinery students have visited a barn in Weald of Kent village Chart Sutton to view the design and construction of a unique roof designed by jhd Architects. Twelve MidKent College Joinery students have visited a barn in Weald of Kent village Chart Sutton to view the design and construction of a unique roof. 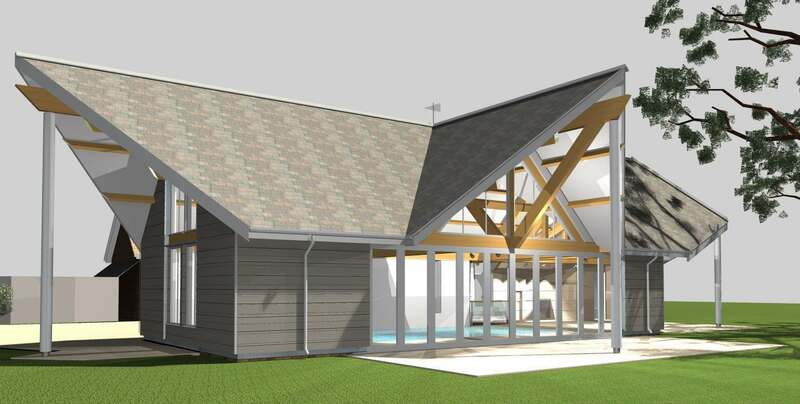 Cranbrook-based construction company Tenterden Building & Restoration (TB&R) is crafting the roof to go onto a contemporary swimming pool building designed for a private client by Sevenoaks and Benendon architectural firm, jhd Architects. “TB&R have the specialist carpentry skills needed to create this architecturally bold and technically challenging structure”, says jhd Architects’ principal Tim Ball. The visit was organised by TB&R Managing Director and former MidKent student Martin Pearson together with Phillip Patton, Programme Area Leader for Carpentry and Joinery courses at the College. “We are always happy to share our expertise with young people preparing for a career in architecture and related trades” says Kent Architect Tim Ball of jhd Architects. “This one-off, exciting structure requires complicated carpentry skills which we were keen to share with young people preparing for a career working with timber. It’s also great to give something back to the College which taught me so much” said Mr Pearson. Maidstone, Kent firm Allan Baxter Partnership undertook the detailed design of the roof. Tim Ball is a chartered member of the Royal Institute of British Architects (RIBA) and principal with jhd Architects, a RIBA Chartered architectural practice based in Sevenoaks and Benenden, Kent. jhd Architects specialises in contemporary architecture for private clients in Kent and Sussex. Examples of their unique designs can be found in their portfolio of Kent architectural projects. 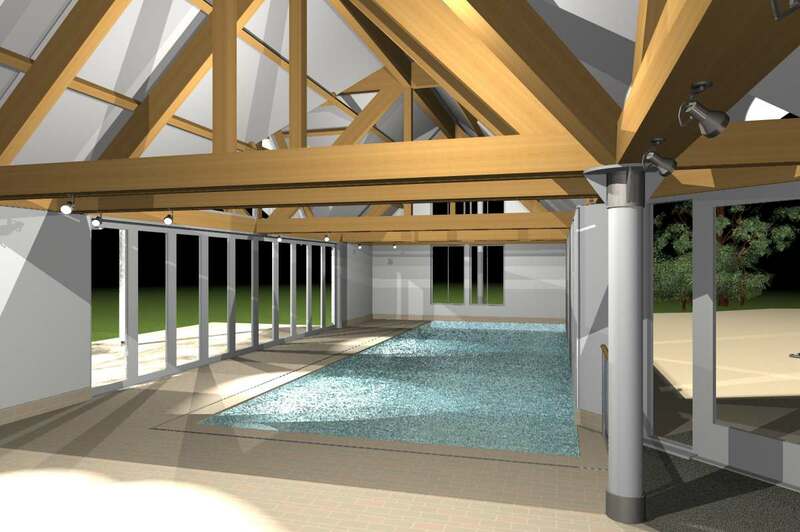 TB&R is a Cranbrook-based family-run company providing high quality extension, conversion, new build, restoration, and maintenance and swimming pool construction services. MidKent College offers one of the most extensive ranges of full-time, part-time, short and long courses in Kent and the South East from campuses in Medway and Maidstone. This press release was prepared by Bobrow Consulting Group (BCG) for jhd Architects. BCG works with building design professionals to grow their business by optimizing their online strategy, teaching marketing for architecture firms as well as offering web design and SEO consulting services.